A few blocks from Manhattan’s illustrious New York Palace Hotel a sold-out house anticipates the rising of the red velvet curtains for the big reveal. Broadway’s longest running show, The Phantom of the Opera, seeks to entertain. It does – just as the critically acclaimed, multi Tony-award winning musical favorite has for the past three decades putting on the sparkle, the lights, encompassed by that bold chandelier-swooping drama playing nightly at the Majestic Theatre, over on Madison Avenue – another bold drama is unfolding. 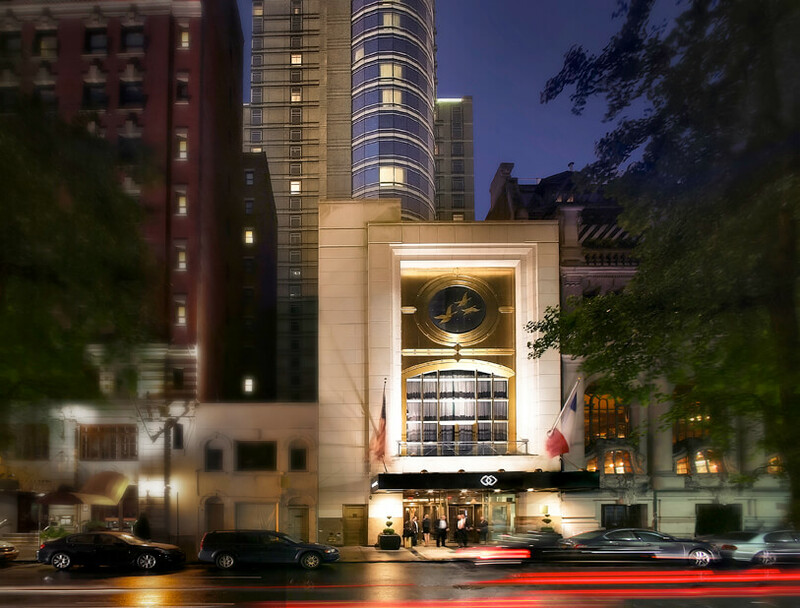 It’s the transformation of the New York Palace Hotel. Korean mega conglomerate the LOTTE Group purchased Midtown Manhattan’s infamous hotel once owned by the billionaire hotel queen, a.k.a. the “Queen of Mean,” Leona Helmsley. Upon her passing she left her pet dog Trouble a $12-million trust fund. The hotel has a hilarious homage to her deceased pooch by dedicating a bar to its name called Trouble’s Trust. 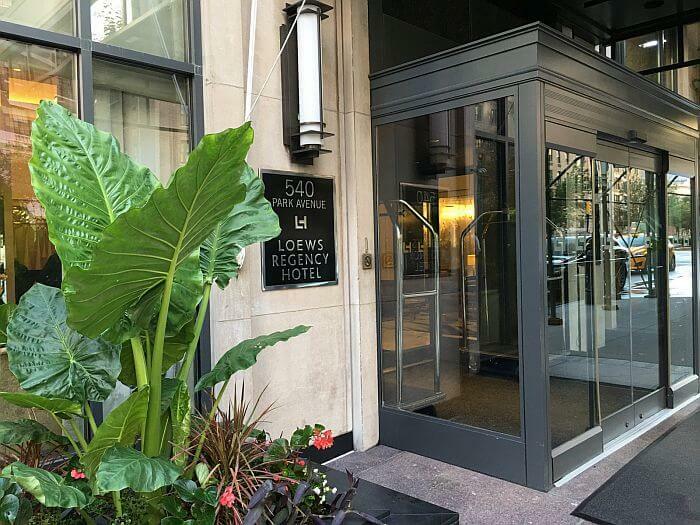 Now known as The Lotte (pronounced Loh-tey) New York Palace, the 909-room luxury property on Madison Avenue is ideally situated to an array of NYC’s biggest attractions. Think St. Patrick’s Cathedral, Rockefeller Center, Central Park, Park Avenue’s luxury row, and yes, the posh palace is even walking distance to Times Square and Broadway. Let’s start at the Courtyard entrance which leads guests into the original late 19th century masterpiece known as the Villard Mansion. Built by the railway promoter, financier, journalist and New York Evening Post owner, Henry Villard, the tycoon’s dream was to recreate a bit of Old Europe in this neo-Italian Renaissance revival landmark. Nothing has been spared here. It’s only the finest in gold finishes, paintings, marble flooring, and hand-carved ceilings. The big jaw dropper: the swooping staircase. My personal favorite, however, was staying at a five-star property with a guest list that reads like a Who’s Who to Celebrity-dom. The world’s most powerful leaders to Bubbles, Michael Jackson’s pet chimp, and of course, the late Michael Jackson himself have been some of the previous glitterati guests. 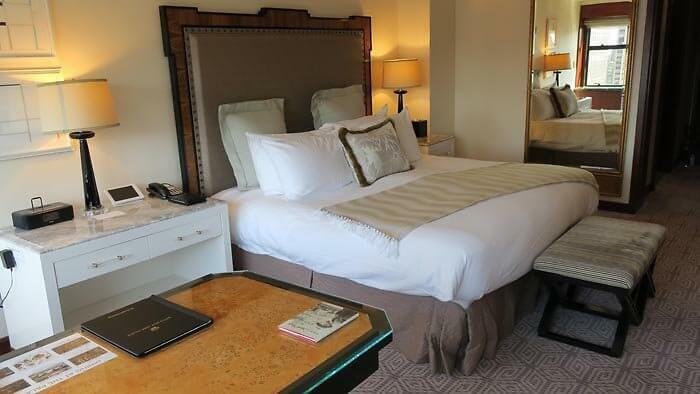 Under the Obama Administration, the hotel has been designated as the preferred Presidential Hotel by the White House. 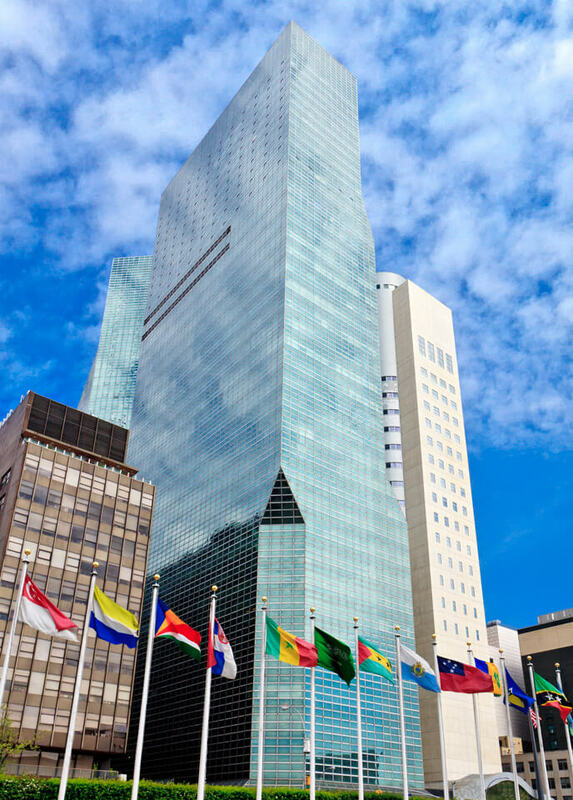 Yes, President Trump has his personal residence a few buildings away but for high-ranking government officials and for the world leaders attending the annual UN General Assembly, it’s a dream zip code. Guests can expect an array of exclusive entertainment curated as only The Palace can… with fabulous originality. On Monday and Tuesday nights free jazz is popular and on weekends, New York City’s favorite magician Steve Cohen performs in the Madison Room to a packed crowd. No shorts or tee-shirts here. Get ready for a night out on the town for this dress-up affair. 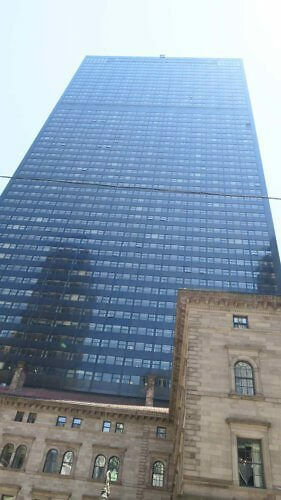 Staying at the Leona Helmsley-built The Towers which has 176-rooms has a huge advantage. It’s a hotel within a hotel with a personalized unique experience for each guest. You have a personal check-in service separate from the regular guests along with a separate concierge service ready to point you in the right direction for Broadway tickets. I arranged my Phantom tickets through the Broadway Collection and easily collected it at the box office on show night. My room on the 52nd floor, while only a Towers King accommodation and not a suite, the room size still baffles. 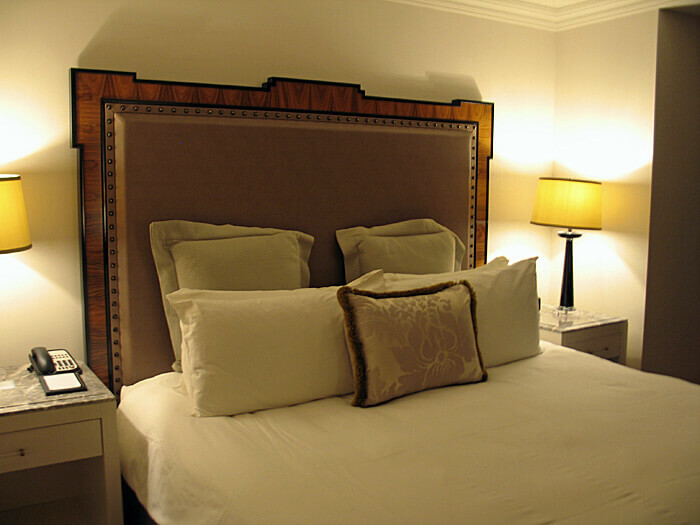 Spacious beyond the regular New York hotel rooms, my king-sized bed with its quadrant of puffy pillows and cool crisp Egyptian cotton sheets was the perfect sleepover after seeing The Phantom of the Opera. Now that the luxury hotel is under new ownership the restaurant scene hopefully will morph into something amazing. 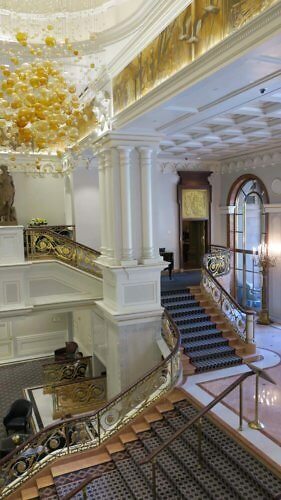 Currently guests staying can enjoy an a la carte breakfast or weekend brunch in the stunning VILLARD restaurant which is in the former private residence of Mr. Henry Villard. For refreshments and corporate meet-ups choose from one of the four bars and lounges. For those craving sweets, the French Market-style café, Pomme Palais is your go-to. Room amenities include Molten Brown bath products, complimentary weekday delivery of The New York Times and high-speed Wi-Fi. If you are talking views this landmark property has the finest of St. Patrick’s Cathedral, the Rockefeller Center, and a cluster of other Upper West Side Manhattan jewels. For fitness, the Fitness Center is fully stocked with state-of-the-art gym equipment from treadmills and StairMasters to stationery bikes and weight machines. Find the finest sleeps in the City that Never Sleeps and forget finding any left-over Helmsley phantoms unless you happen to order handcrafted cocktails like the “Pampered Pooch” or the “Queen of Mean,” just two of the cheeky concoctions at Trouble’s Trust– then perhaps you might. You can make your reservations directly through the Lotte New York Palace website. 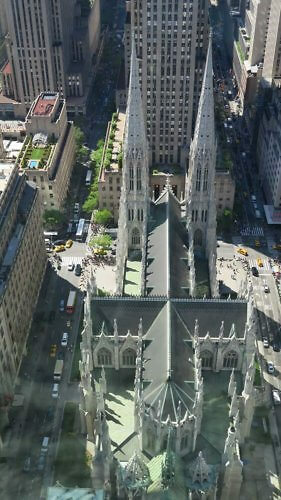 For the Tower King Room in The Towers nightly rates start at $429 based on double occupancy. Compare rates at Hotelopia or Expedia. Ilona Kauremszky was a guest of Lotte New York Palace and The Broadway Collection which did not review the story. Photography: Ilona Kauremszky.